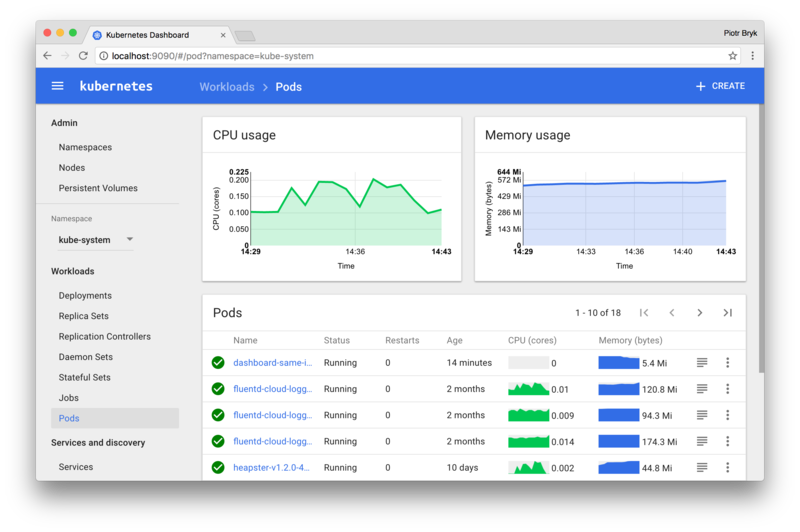 In some previous guides, readers had to face setups where installing Kubernetes was a part, like in the guide on how to run Docker, containers on IBM Bluemix, we undergone some steps. Also, in the article on micro services, Kubernetes was a hidden part. We have series of guides on Docker, but no guides on Kubernates was so far was published by us. Here are the Steps and Commands to Run Kubernetes Locally With Minikube on MacOS X and Ubuntu. We need virtualization capable machine. We may need to enable VT-x or AMD-v virtualization from computer’s BIOS for non-Mac computers. This guide is for GNU/Linux like Ubuntu and MacOS X. This guide is not for Windows. As for Mac, setup should be complete with iTerm2, Homebrew, ZSH. Starting local Kubernetes v1.7.5 cluster... Starting VM... SSH-ing files into VM... Setting up certs... Starting cluster components... Connecting to cluster... Setting up kubeconfig... Kubectl is now configured to use the cluster. How to install and get started is written on the official website. I guess, this much is enough to get started with the things. Apart From Business Processes as a Service (BPaaS), Traditional Web Tools Became Cheaper, Feature Rich With Intensive Use of Cloud Computing Services. Cite this article as: Abhishek Ghosh, "Run Kubernetes Locally With Minikube (MacOS X, Ubuntu)," in The Customize Windows, December 12, 2017, April 26, 2019, https://thecustomizewindows.com/2017/12/run-kubernetes-locally-minikube-macos-x-ubuntu/.